A full downloadable PDF report of all variables selected is also available for incorporation into site studies or building construction documents. 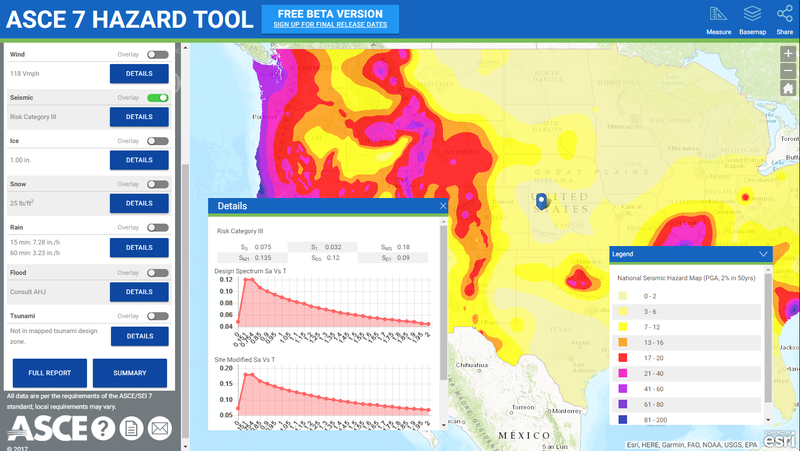 The fully functional site will be available to paid subscribers only (following the initial Beta period), however, wind and tsunami data will be available to all to show site functionality and utility. 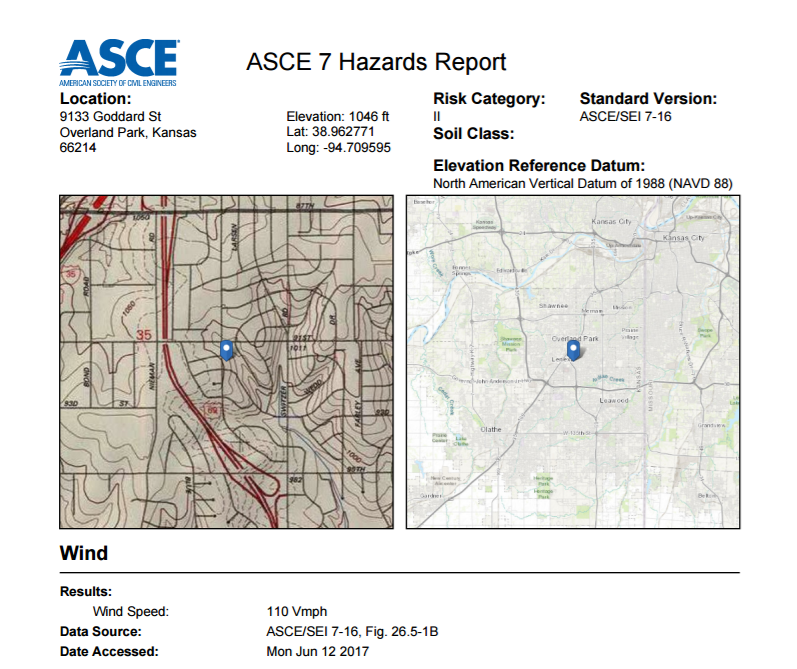 Make the ASCE 7 Hazard Tool the first stop for new infrastructure construction in America, and help keep us safe from environmental hazards.